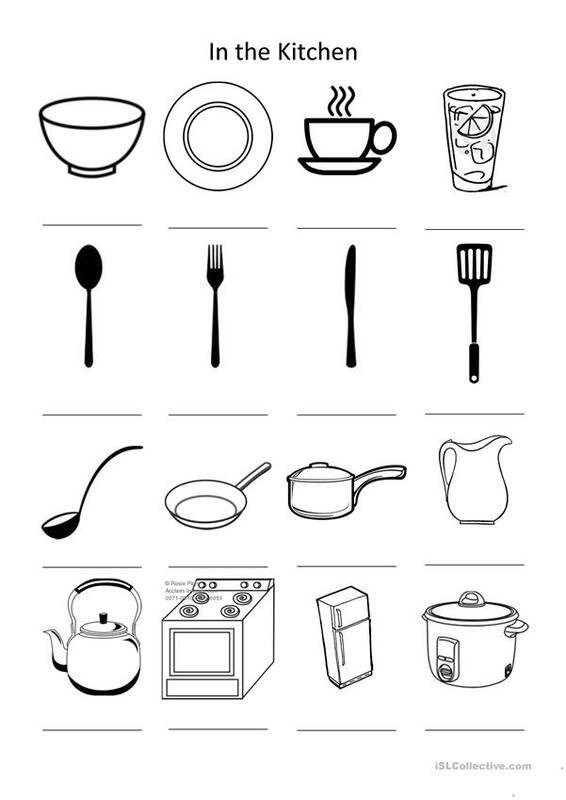 A worksheet featuring 16 images of items commonly found in the kitchen. Includes space for writing the word below and black and white images that can be colored in. The above downloadable worksheet is meant for elementary school students at Elementary (A1) level. It is useful for strengthening your groups' Spelling and Writing skills. It is focused on the vocabulary topic of Home. kkelly4022 is from/lives in Thailand and has been a member of iSLCollective since 2012-09-13 05:26:55. kkelly4022 last logged in on 2013-04-26 05:32:51, and has shared 2 resources on iSLCollective so far.